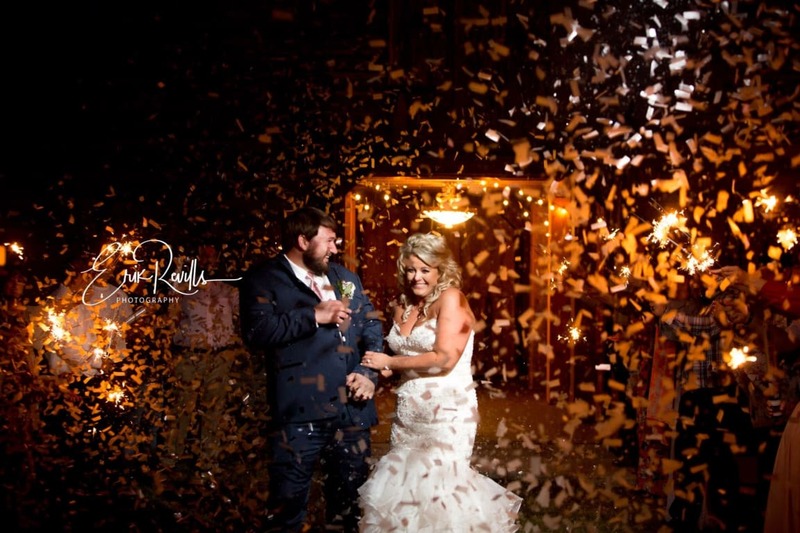 Our wedding confetti cannons are the perfect addition to a wedding celebration! 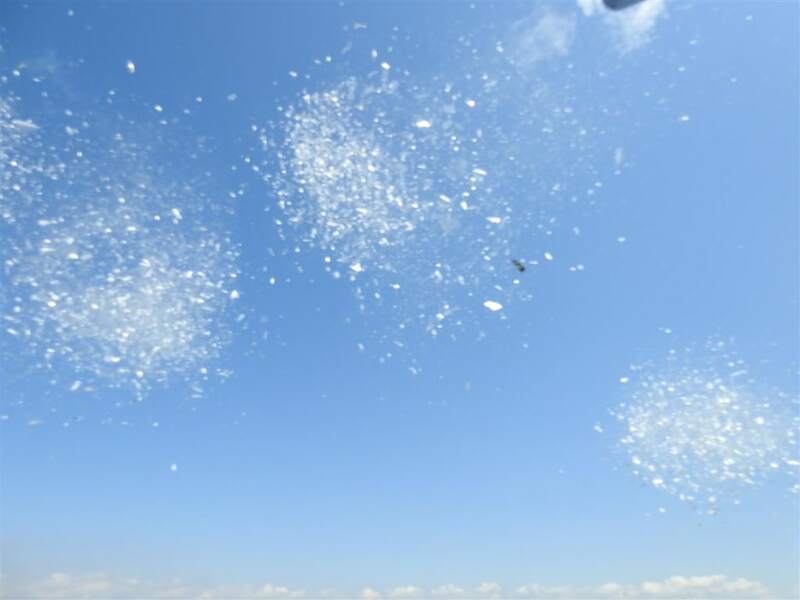 These cannons are loaded with translucent, white confetti. 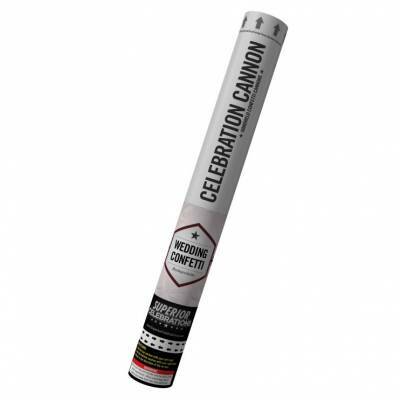 The confetti in these cannons is 100% biodegradable, and water soluble! This cannon is 18" long, and will launch its confetti approximately 10-15 feet in the air. For indoor events, we recommend our White Confetti Cannon. Very pretty, except for photographs! Very pretty, except for photographs! I love how this one looks in person - it is sort of like snow, but doesn't photograph well with flash. It's so translucent, that it almost makes the couples faces a little blurry. Overall, it's pretty for the eye but not for the camera. This is a great product!!! This is a great product!!! It was super easy to order and they worked perfectly at our daughter's wedding!! The order arrived on time...exactly as they said...and everything came in excellent condition!! Great buy fast shipping! Great buy fast shipping! Order these for my wedding day to take with the bridal party using them. Cant wait till the big day to actual use them and see how the pictures come out! I ordered four of the white confetti canons for my wedding. We had our DJ plan out a song where the assistants would shoot the cannons off from the 4 corners of the dance floor. They made our dance party unforgettable- I highly recommend! Delivery was as promised and cannons came well packaged. 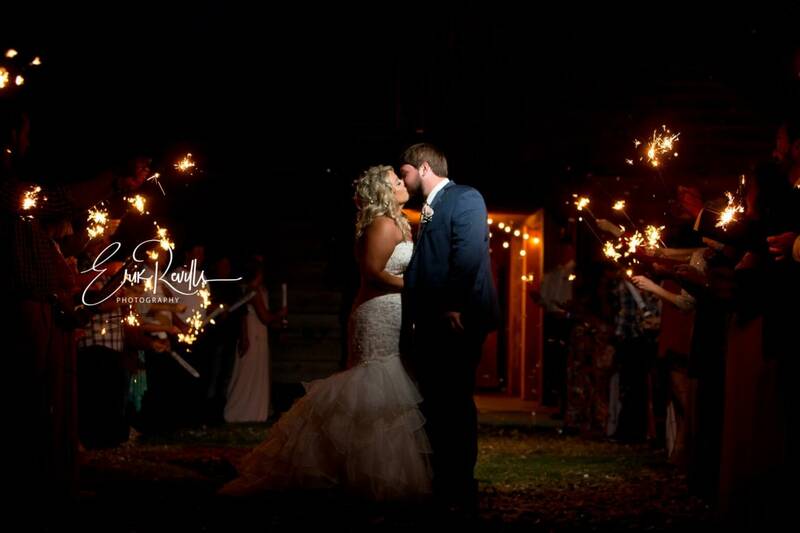 Confetti + Sparklers = Best Wedding Exit EVER! 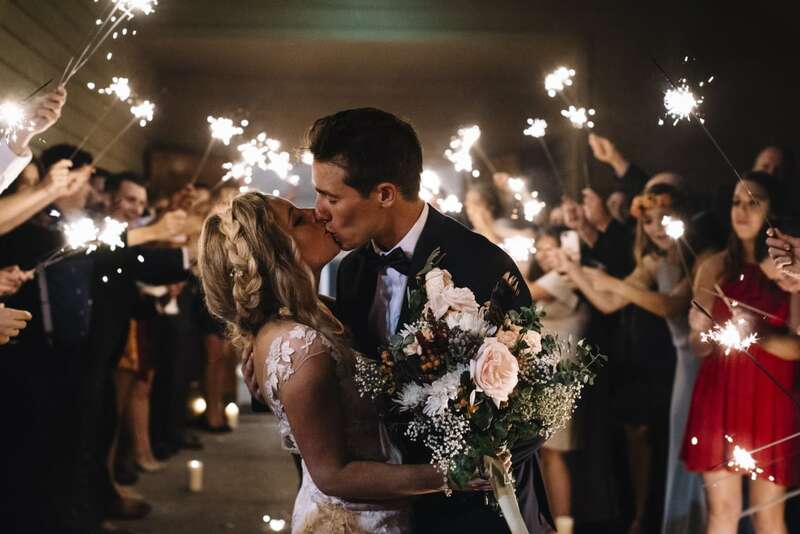 Confetti + Sparklers = Best Wedding Exit EVER! We purchased the confetti cannons for the bridesmaids and groomsmen and the rest of the guests got the 20" sparklers. The combination of these two was simply amazing! The pictures and video were anazing and the guests loved the send-off! The confetti began dissolving within a few minutes of hitting the ground so there was absolutely no cleanup involved! We were definitely pleased with both the cost and delivery time of these items! Would highly recommend to anyone wanting a perfect wedding exit! We used this as an introduction of the bride and groom, and it was such an awesome scene! Fun, beautiful, easiest of clean-up, plan to buy again! Fun, beautiful, easiest of clean-up, plan to buy again! 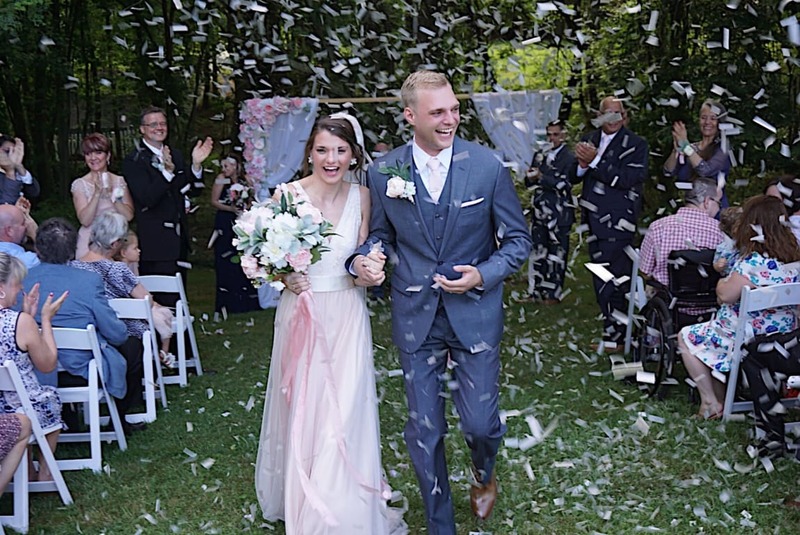 I purchased four of the cannons for the grand exit of my daughter's wedding, putting them into the hands of four groomsmen: the confetti came out easily, better than we imagined, and put a delightful exclamation point to the end of a beautiful party. Even better, we just put a quick spray of water on the remaining confetti and it disintegrated, which made it the easiest of all the wedding clean-up! The groomsmen asked where to buy the cannons and I was delighted to give them your website. I will be buying more for my son's upcoming wedding. This was the best to use on the boat. I would buy again and most definitely recommend! I would buy again and most definitely recommend! Due to the rain and groomsmen forgetting to bring them to the pavilion for the bride & groom walk down the aisle, we used them at the end of their first dance. It was beautiful! We also used glow necklaces and sparklers from Superior Celebrations -- all of the products were great! Used as a wedding send off! I bought 6 of them for our wedding on our private Family Farm. First off, most venues you would rent from do NOT allow confetti or glitter because its difficult to clean up. Knowing this- i thought to myself ' if this is the most extra thing i've ever done...this is it. You only get married once'. When our pastor announced us married I had our ushers hide them in the guest chairs and instruct them to 'let them rip'. It was a COMPLETE surprise for my husband, family, and guests. It was a monsoon of confetti and glitter. Hurricane Confetti came. Probably going to be the most memorable moment of my life. we had a videographer- i'll post the video when we get it. These are so awesome! Everyone loved the confetti as the Bride and Groom were leaving! The venue staff was a little freaked out, but as soon as confetti started melting in a puddle, no worries at all. The pop isn't too loud, and the confetti bursts out and looks magical! Delivery was so quick! Thank you! Then we had to wait forever for the wedding! I wanted to pop one early as a "tester" but no one would let me! We used 4 Wedding confetti cannons for the end of our ceremony and the end result was nothing short of amazing. The cannons gave us our favorite wedding photo. Highly recommended! Better than sparklers! Better than sparklers! The photographs we got during our wedding exit were amazing due to the confetti and it was so fun to have them go off as we were walking through the guest! Perfect! And easy to clean! Perfect! And easy to clean! This was a great product! It worked exactly as we expected and it was easy to vacuum. Great wedding send off! Great wedding send off! Our reception site only allowed water soluble confetti, and these canons were awesome! 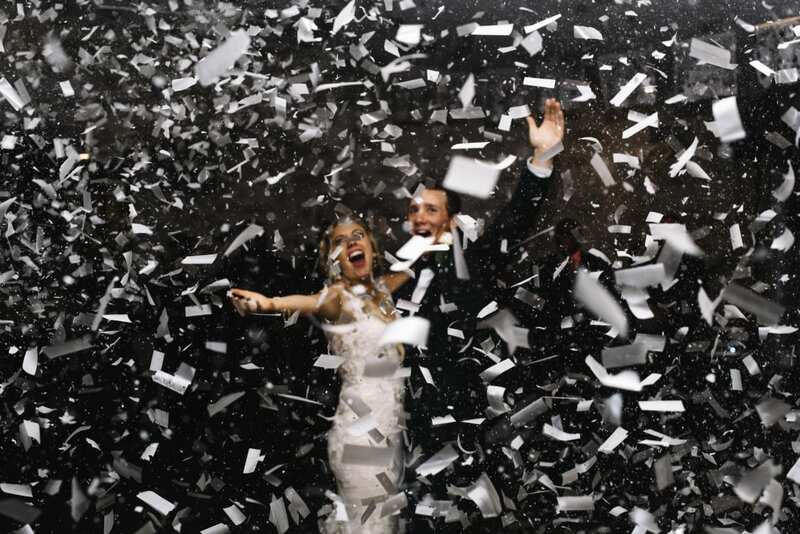 They showered the newlyweds with confetti. I can't wait to see the pictures! I will buy these again. I will buy these again. We had 50 of these for wedding guests to use for our wedding exit on a chairlift. The photos are awesome! The confetti is biodegradable which is great for outdoors, but it did stick to guests shoes and was hard to remove.